To investigate the necessity and efficacy of immunotherapy in children with allergic eye disease. Materials and methods: The study included 57 patients with allergic eye disease who were followed by the Department of Ophthalmology and Department of Pediatrics at Adnan Menderes University Hospital. Blood and skin prick tests were carried out on 43 patients. Results: There were 38 male and 19 female patients with a mean age of 11 ± 4 years. The mean follow-up was 31 ± 3 months and 28 ± 4 months in 38 vernal keratoconjunctivitis (VKC) and 19 perennial allergic conjunctivitis (PAC) patients, respectively. Immunotherapy was administered to 8 (42%) PAC patients and 4 (17%) VKC patients. Patients that received immunotherapy did not need further medical treatment for their allergies. Conclusion: A skin prick test should be considered in the clinical evaluation of an allergic eye disease, especially if it is accompanied by other allergic diseases. Immunotherapy should be considered as a possible treatment option. Abelson MB, Schaefer K. Conjunctivitis of allergic origin: immunologic mechanisms and current approaches to therapy. Surv Ophthalmol 1993; 38: 115-32. Ross RN, Nelson HS, Finegold I. Eff ectiveness of specifi c immunotherapy in the treatment of asthma: a meta-analysis of prospective, randomized, single or double-blind, placebo- controlled studies. Clin Th er 2000; 22: 329-41. 6. Abramson MJ, Puy RM, Weiner JM. Is allergen immunotherapy eff ective in asthma? A meta-analysis of randomized controlled trials. Am J Respir Crit Care Med 1995; 151: 969-74. Chowdary VS, Vinaykumar EC, Rao JJ, Rao R, Babu KR, Rangamani V. A study on serum IgE and eosinophils in respiratory allergy patients. Indian J Allergy Asthma Immunol 2003; 17: 21-4. ISNAD KOCATÜRK, Tolga , KOCATÜRK, Özlem , DAYANIR, Volkan , ELİAÇIK, Kayı . "Skin prick test and immunotherapy in children with allergic eye disease". 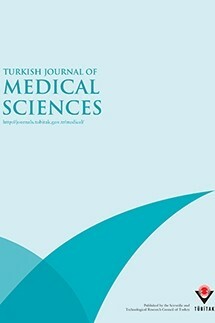 Turkish Journal of Medical Sciences 42 / 3 (March 2012): 485-490.